Rancher is a powerful web-based management tool for managing docker containers across any number of docker hosts. The best part is that it is simple to deploy through docker as I will show you below. Visit the Rancher website or their Vimeo page for more info about Rancher. Rancher requires at least 1 GB of RAM, but the hosts you have it manage can be 512MB. I would urge you to give the rancher host more than this or set up a swapfile if possible. Install docker on your server if you haven't already. Run the commands below to deploy the rancher server container. This will create a folder called rancher-data in your $HOME directory where all data for Rancher will be stored. This way, your data isn't lost if your container dies, and you can also re-deploy on another server if you just move that folder to the new server. 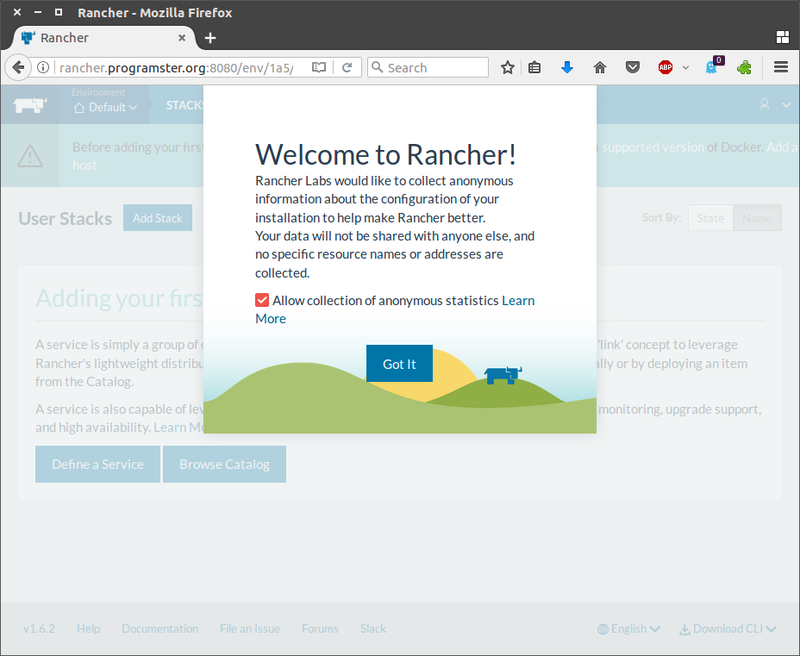 You now have a simple Rancher server deployed. I now suggest you move onto configuring local access control.